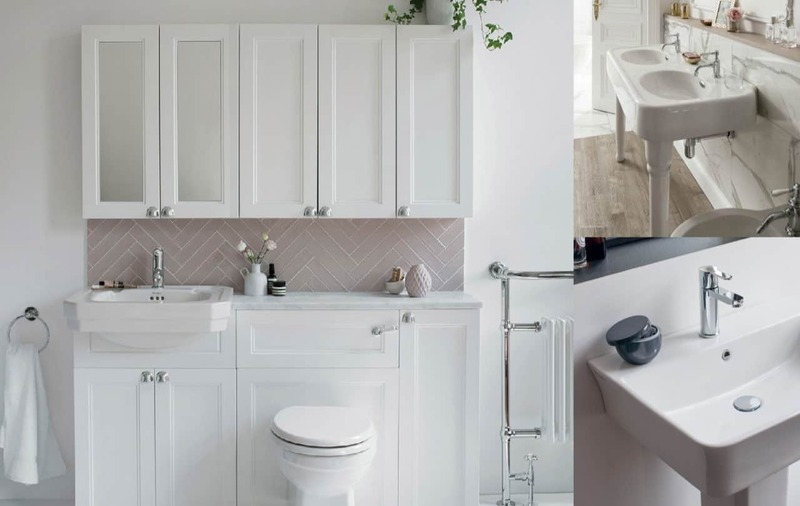 We have over 40 years of experience, so why not let us help to provide you with the bespoke and high quality bathroom that you have been dreaming of. To view our full range of basins call us on 01432 357 468 to schedule an appointment or visit us at our beautiful showroom. The Classic Basin Collection from Burlington is beautifully formed, either as a grand square design or a curvaceous round model. This collection also features an innovative waste technology. Choose a Classic basin with invisible overflow allowing you to have seamless ceramic without a plug. 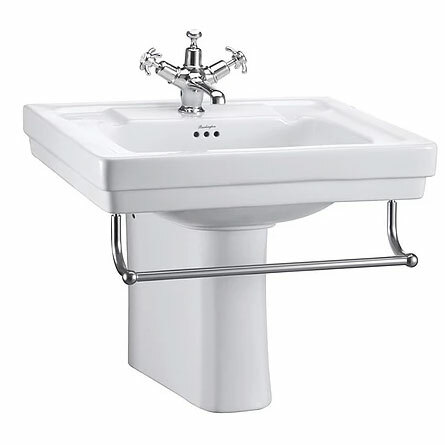 All Classic basins are available as as 1, 2 or 3 tap holes on standard or regal pedestals and a range of washstands. 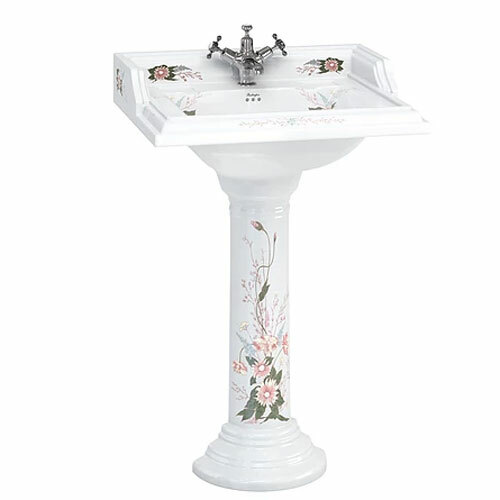 The English Garden range sees the Classic style basins brought to life with delicate floral transfers. The new round pedestal is softened with finite moulded detail, exuding class and sophistication. As the name suggests, the Contemporary collection is styled on the elegance of past times but with a modern day twist. Simplistic structured lines form the basis for this striking ceramic collection. 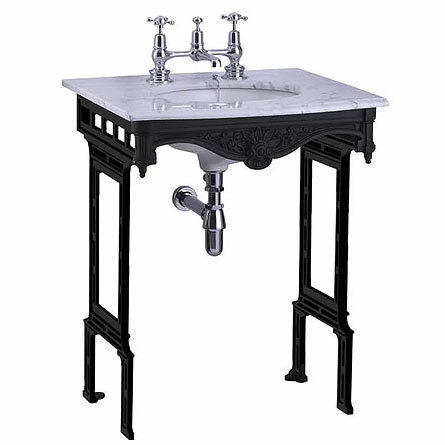 Available as full pedestal, semi-pedestal or with a chrome washstand. Marble provides an eye catching and gorgeous focal point in your vintage setting. The beautiful pebble grey marble can be added to various washstands or even wooden vanity units. A velvety soft natural stone basin available in three sizes. Set these gorgeous basins into countertops or pair with our beautiful stainless steel washstands. The Fine range of basins are exquisitely crafted to form ultra slim edges to each of the ceramic pieces. These products continue to be firm favourites, creating a unique designer feel to the contemporary bathroom space. Back to wall options allow you to hide all the plumbing for the neatest look. 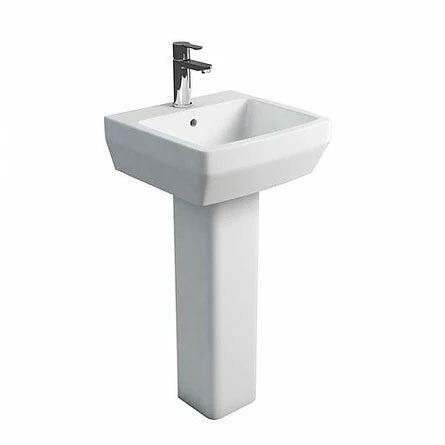 All of our washbasins are available with full or semi pedestal options, in square or round design, in ceramic or stainless steel. 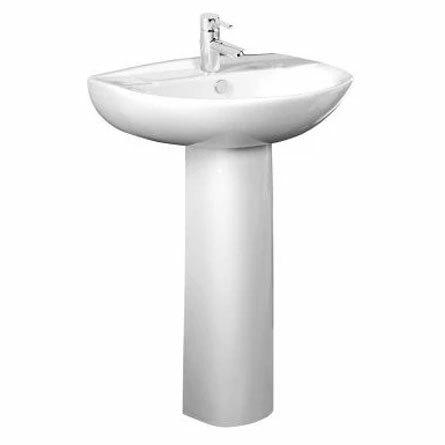 The Fine washbasin is also available as a 60cm and can be wall- hung with a bottle trap or mounted on a work-top. The Cube collection is a distinctive and stylishly designed range with geometric shapes and subtle angular edges, which work beautifully within a contemporary styled bathroom. 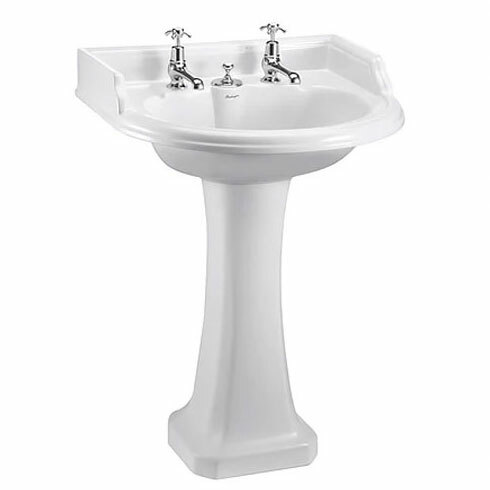 Basins are available with either full or semi pedestal options in both square and round styles, or pair with a stainless steel option for an ultra modern and sleek look. 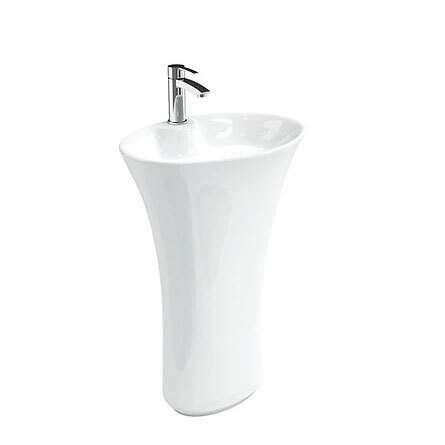 The Cube washbasin is also available as a 60cm option or a 55cm semi-recessed for use as a counter top basin. Spacious with soft, subtle lines, the Curve range gives a simplistic aesthetic to the modern day bathroom for those who prefer sweeping edges and minimal appearance. A stunning new innovation to the range includes a stand-alone, single piece basin and pedestal, with no breaks of joins, this piece of ceramic is sure to catch the eye and provide a centre piece to your contemporary bathroom. 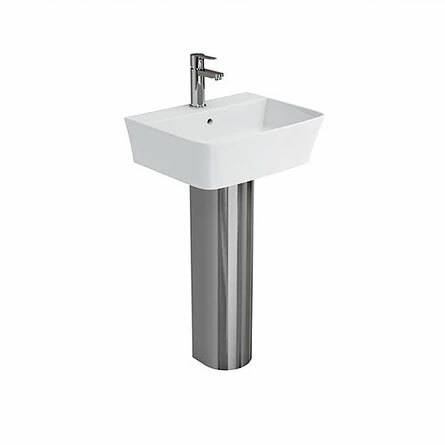 All of our washbasins are available with full or semi pedestal options, in square or round design, in ceramic or stainless steel. The Curve washbasin is also available as a 60cm option or a 55cm semi-recessed for use as a counter top basin. For those looking to spend less Micra basins are a great place to start. Small but perfectly formed Micra basins are designed for the smaller bathroom, cloakroom or en-suite. Flexibility is key here, with a great range of basins with clever space saving ideas.